Chatbot has slowly permeated our lives and what was considered as a thing of luxury has become an essential element for businesses. With so many non-coding and coding chatbot builders available, why should you consider IBM Watson? How it makes your chatbot more capable and effective in delivering the intended service. Find your answer with Root Info Solutions. 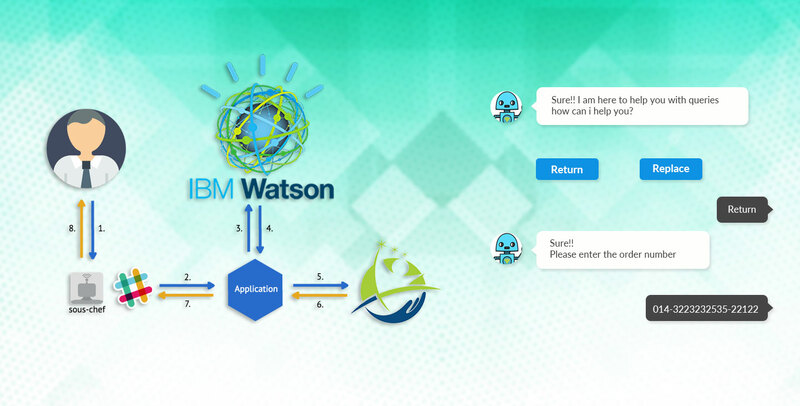 Adopting advanced natural language processing (NLP) capability, IBM Watson makes your chatbot capable of understanding the human intent and needs. Thus, your chatbot can deliver a response to the queries like a human. What are the techniques involved in Watson NLP that a chatbot developer should know to build an AI chatbot? According to IBM, more than 100 different techniques contribute to the development of conversational skills. So what does your chatbot do to be more like a human assistant? Information is dispersed across different silos in a business ecosystem. A part of it can be with sales, a part of billing, a part of customer service, and so on. Even in a single process or operation, the data or information is managed or stored with different applications or software. So, the chatbot you build must be able to connect with different operations and their integral software or app, which can be cloud-based as well. Watson empowers your chatbot to connect with them and collect the exact information matching the queries. One shouldn’t forget the role of the chatbot development services provider. The provider must make use of advanced chatbot programming languages like Python, Java or PHP to ensure that front-end and back-end of the chatbot connect seamlessly. Watson helps you build a conversational design that will engage your audience in the best possible way. Knowledge representation is similar to getting interviewed. Here your chatbot is the interviewee, and the audience is the interviewer. Sometimes, it can be vice versa. So the better your chatbot responds or questions will decide the quality of user-engagement and, hence, the accomplishment of the goals. IBM Watson has got a powerful reasoning skill. It can interpret and decipher not just the language but also its hidden intent. Automated reasoning helps your chatbot to respond queries contextually and in a faster way. Thus, empowering the business to respond volume of queries spontaneously and genuinely. To make chatbot a successful business entity, the machine has to learn from the data. Thankfully, IBM Watson resorts to the advanced machine learning technologies to make logical prediction and, hence, can respond well to your audience. It derives artificial intelligence with pattern recognition and computational learning theory. Thus, IBM Watson has everything that you need to build a chatbot that can 'see', 'hear', 'read', 'talk', 'taste', 'understand', 'reason', 'interpret', 'learn' and 'recommend'. All that is required is to properly align the built-in technologies, following standard practices. The better an AI chatbot developer understands and connects them like blocks in a puzzle game, the more he or she scores and that ultimately reflects the wisdom of your chatbot.